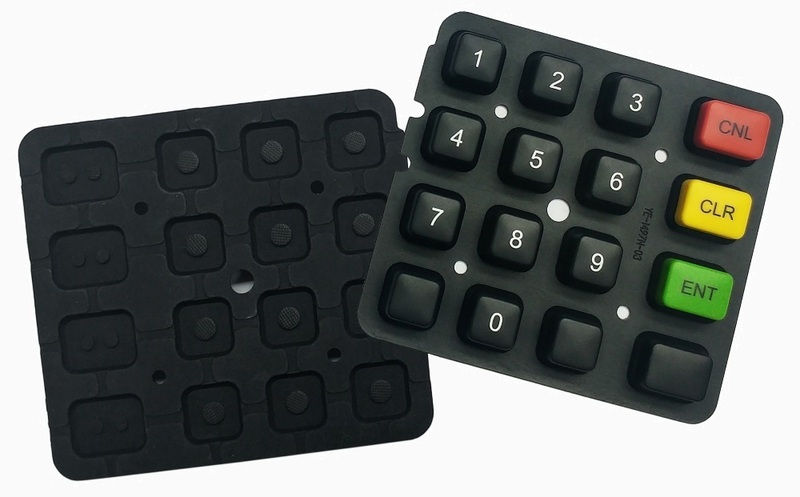 Conductive pill is the contact medium between the silicone keypad and PCB board. 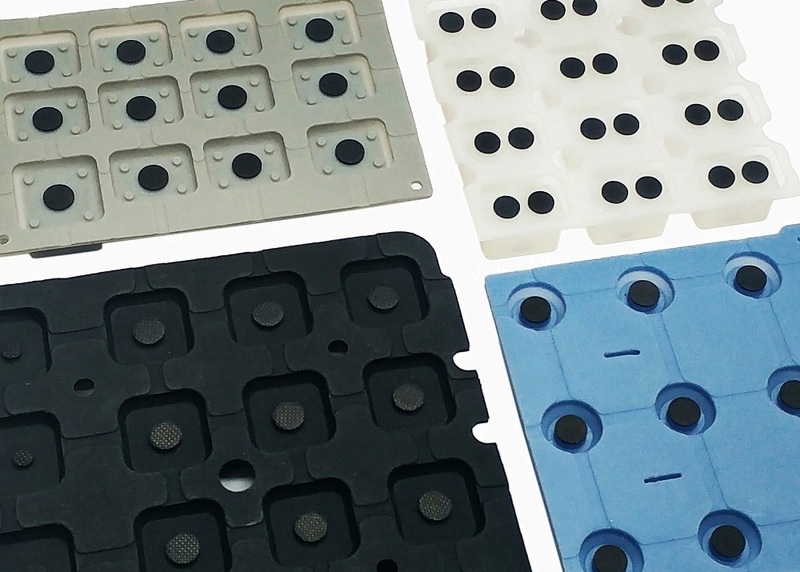 The mixture is molded on sheet form and the round pills are the common shape in standard sizes between 2mm to 8mm diameter. A jig is used to insert the pill onto the keypad. The most commonly used for silicone rubber is the carbon type pill which the resistance normally is around 200 Ohm with 100 grams loading. For the products requiring the lower resistance, Metal and Gold Conductive Pill are available. 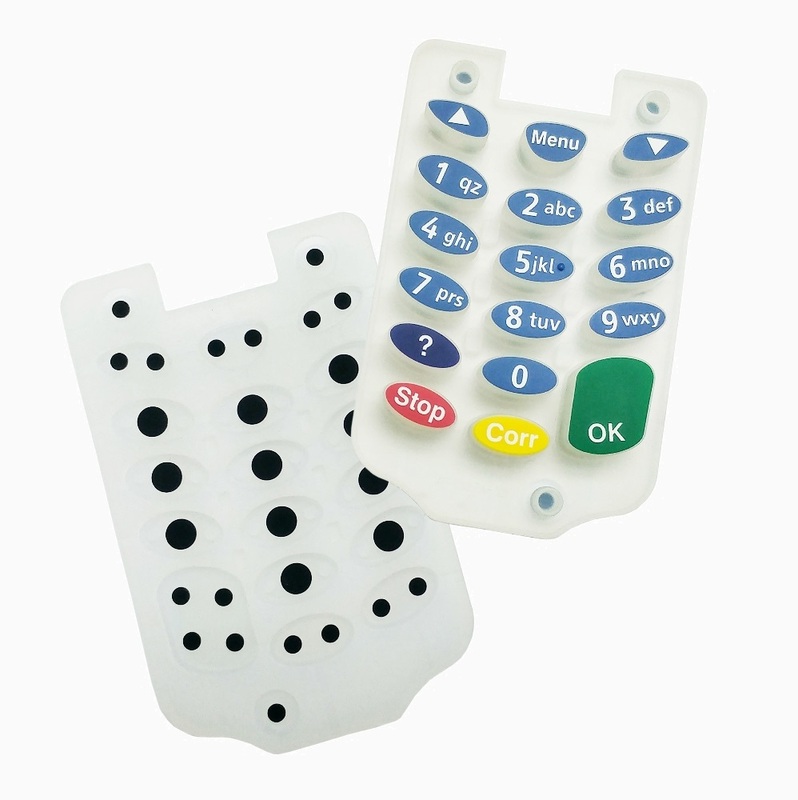 Carbon Conductive Printing is also the contact medium between the silicone keypad and PCB board, using the conductive ink. This can be applied to any shape of carbon contact, say round, square, oval, etc. For product resistance requirement, the resistance will be ranged from 500 ohm to 800 ohm.